So after almost 2 months of dating, Jill and I finally get an evening out alone with each other. And it was so amazing! We both are in school and have jobs. Also, it is sometimes hard to find someone to watch Jill’s precious daughter, Savannah (1.5 years old). We both were off work, had schoolwork caught up, and I had asked Jill’s sister to watch Savannah for the evening, so it was pretty much our first date. 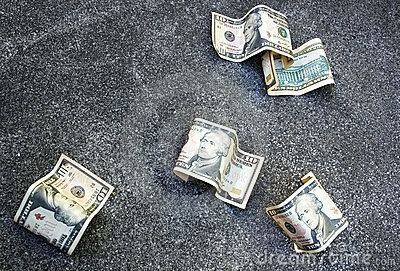 What would you do if you found money on the ground? Pick it up and put it in your pocket? Or try to find the owner? Would it have to depend on how much you found? What if it was one dollar? Ten? Fifty? One-hundred? Or one thousand? Would it depend on where you found it? In a store or on the streets? There sure has been wonderful weather for the past few days here in the Fort. Just the way I like it: sunny, on the cooler side of 70 to 75 degrees, and a slight breeze. 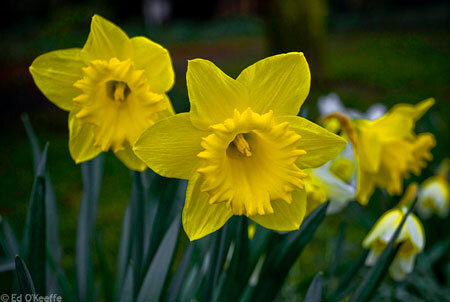 The first day of Spring was yesterday and boy was it nice! The flowers on the trees, bushes, and ground are blooming and the leaves are starting to slowly come back to the bare, brown trees. You when it is Spring when those pear trees start to smell. You might recognize them from their white flowers. This does not seem like the type of weather we would usually get in March, but I am not complaining! This is one of my favorite times of the year, because it gets warm enough to get outside and do something. My first day of spring was highly enjoyable! I spent the day with my girlfriend, Jill. We went to Shoaff Park to play tennis and went for a run. It was getting pretty hot outside! It felt really nice to feel the sun coming down and heating up this city. After that, we went to the store to get something to eat for dinner. We decided on grilling some hot dogs and hamburgers on the grill! It was nice eating some delicious dinner with the windows wide open and hearing the birds chirp. Later in the evening we relaxed with a movie and some popcorn. Definitely a very great day! I can not wait for the semester to be over and for Summer to arrive! Lately I have been thinking about getting a motorcycle. A sport bike to be more specific. I think it would be fun to hop on and go for a ride on the country roads. Also, it would save plenty of money on fuel. I have decided that I will be buying one, but not right away. With my new job, I should be able to save up moolah pretty fast so I can pay cash for the bike. 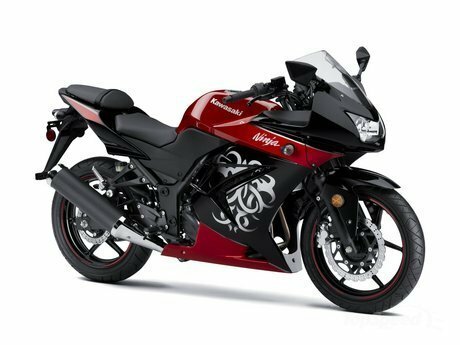 The bike that I really want is a Kawasaki Ninja 250. I just want something to start on. A 250 will be plenty enough power for me just commuting back and forth from work and school. I plan to shop around and look for good-condition used bikes. And at the end of the summer nearing the fall, if I still do not find what I am looking for, the dealerships will surely be lowering their prices on the later models to make room for the new ones. I plan to start out by taking the motorcycle exam at the BMV and get my permit. Next, I need to buy some gear as in a helmet, gloves, jacket, and boots that fit over the ankle. Then, sometime this summer I will register to take the BRC (Basic Rider Course) offered by the ABATE group (American Bikers Aimed Towards Education) in Indiana. After I pass the course, which can be completed in one weekend, I will receive the motorcycle endorsement on my driver’s license. It it pretty simple. I really want a bike badly, and I can not wait. Going the whole summer without one is going to be tough! I would love the adventure and the adrenalin rush! Let’s hope I can find one soon! Plus this is on my Bucket List! If you have not read one of the previous postings, you have not been informed that I have found a new job! I am working at Parkview Hospital in the Housekeeping department. If you want to get technical, I am an Environmental Services Assistant. I like that title better. Now that the first day has come and gone, I think this is going to work out for me just fine. I enjoyed my first day of work. There was plenty of walking and riding elevators. My feet were definitely sore at the end of the night. I am working part-time, about 3 days per week from 3pm to 11:30pm in the evenings. I have to work every other weekend, so I can have weekends off for once! Basically they assign a housekeeper to a specific hallway for the night. Mt duty is to collect trash, clean bathrooms, and mop and vacuum the floors and offices down the hallway. On my side of the hallway, I have to pull trash and mop in a couple different department rooms: Endoscopy, Dialysis, the pharmacy, and what they call the cleaning room within the pharmacy. I’m not sure what it is exactly that they do in the cleaning room, but it is very sterile. Before I go in I need to put on a lab coat, gloves, booties, (I love saying the word “booties”) a hair net, and a face mask. Let me tell you, I looked awesome. My other room I have to mop and pull trash in, is in the basement: the morgue! I did not know that there was a morgue located there. I guess it is a hospital. There were not any bodies laid out or in the cooler/freezer…that night. I’m sure I will be seeing my share of lifeless beings eventually. It is kind of freaky though: in the basement of a hospital, in the morgue, at 11pm at night, and by yourself… It’s really chilly in that room and has an odd, but clean odor to it. They usually have designated people to change beds and clean patient rooms throughout the evening as patients check out. However, sometimes another assistant is paged to clean it. I changed several beds on my first day. It’s not extremely hard, but you have to do it in a timely manner. First, you gather up all of the linens in the linen bag. Throw all the trash away. Next, wipe down anything and everything in the room with sanitizing solution. After everything is clean and wiped down, including the bathroom, I head to the linen closet and get a set of sheets and blanket. Then, of course, make the bed! And finally, mop down the floor. It gets pretty intense moving quickly! I get a half an hour for lunch and a half an hour for break time. When it comes to eating dinner, they have a nice cafeteria with plenty of options: salad bar, grill, deli, small yogurt and stuff like that. Employees get a 20% discount on food, and the prices are not too bad to begin with. I am definitely going to like that part. I would say the first day was a success. A couple more days of training and I think they will be able to turn me loose! Look out!